Reduce costs and increase efficiency with the NX 6500. This integrated services platform is a wired and wireless networking device which runs telephony services and supports Bring Your Own Device (BYOD) initiatives. The system also serves as a platform for third-party application virtual machines (VM). Ready for upgrades to next-generation capabilities, the NX 6500 adds a great deal of convenience and access while delivering return on investment well into the future. Until now, managing voice and data services at each remote office or branch location might have required up to five separate networking appliances - each with its own management interface – plus installation and on-site maintenance time and costs. The NX 6500 eliminates the need for all the extra equipment and maintenance. Now you can efficiently and cost-effectively manage wireless networking, telephony services, and mobile applications from one appliance in a remote location. 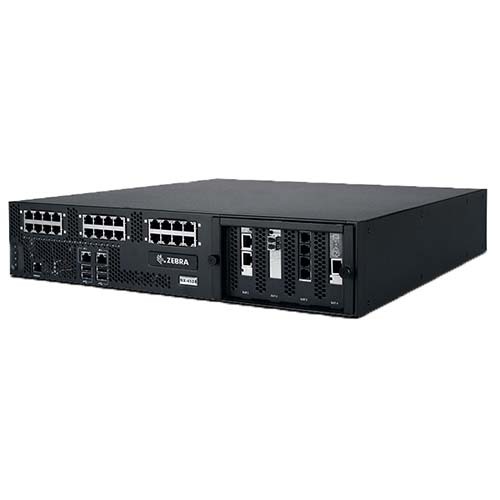 The NX 6500 is a single appliance which includes a router, firewall, Virtual Private Network (VPN), AAA Radius server for user authentication, as well as a DHCP/DNS service that delivers wireless services with a trusted, always-on network. From this one device, you can offer secure, high-performance voice and data services to each of your branch locations. Operate with security that meets the standards that you require – like HIPAA for the healthcare field and PCI in retail. The NX 6500’s gap-free security offers a tiered approach that protects and secures data at every point in the network - wired or wireless. This comprehensive system includes: wired/wireless firewall, built-in wireless intrusion protection system (IPS), integrated IPSec VPN gateway, AAA Radius Server, and secure guest access with a captive web portal. There is also MAC-based authentication, 802.11w to secure management frames, NAC support, anomaly analysis, and advanced security services such as role-based firewall and rogue termination.